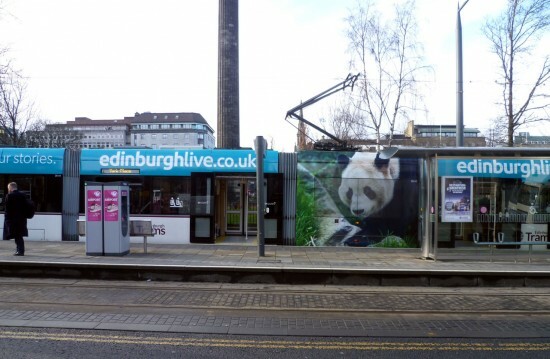 Recent weeks have seen a couple of new adverts debuting on Edinburgh Trams with both 251 and 261 losing former adverts for C R Smith in favour of new contracts for Edinburgh Live and Standard Life respectively. We have seen a few images of these trams previously but in this pictorial we take another closer look at the new designs courtesy of Roy Calderwood. The first applied was that on 261 for Standard Life. This shot shows one end section with the standard roof height advert. The centre of 261 showing the full height ads. 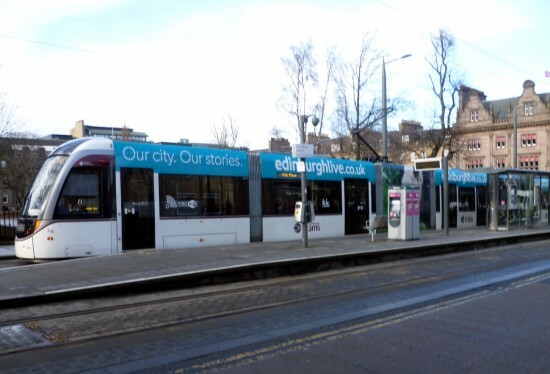 The second tram to receive new adverts was 251 which now advertises local website Edinburgh Live. 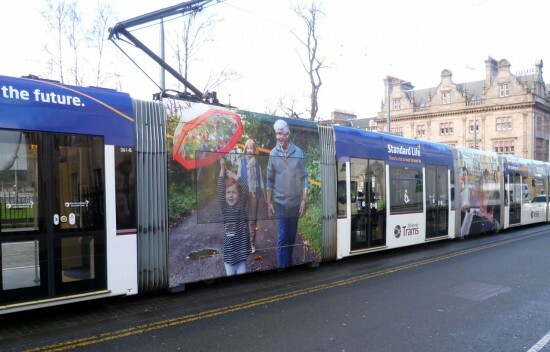 Here we see the tram at St Andrew Square.